Gilbert’s late grandfather, William VandeHey, first created his hand-rolled pizzas while serving in the Air Force in the 1950s and ‘60s. During that time, he opened a bar and eventually sold the pies out of his establishment for a few dollars apiece. The recipe would live on at family events, and Gilbert learned how to prepare the pizza from his dad, Dan Altschul, who had learned it from William. Like his grandfather, Gilbert has quite the food and hospitality pedigree. Dan Altschul and Jane Capito (Gilbert’s former stepmother) launched Botticelli’s on King Street. That restaurant closed in 1997, but Jane would go on to acquire Mickey’s Tavern and Mother’s Pub, which she transformed into Lazy Jane’s Café. A picky eater as a kid, Gilbert has wanted to own a business for quite some time and has been working as a cook and chef for years. While attending Madison West High School he cooked at Biaggis and Uno Chicago Grill in Madison before attending business school at UW-Whitewater. He then trained at Scottsdale Culinary Institute, which is part of the Le Cordon Bleu culinary schools. “If you are thinking of going to culinary school, save the $40,000 and travel Europe and work for free,” Gilbert says of his experience, which was saturated with “wanna-be famous chefs.” Fellow Willy Street restaurateur, A Pig in a Fur Coat Executive Chef Dan Bonnano, attended Le Cordon Bleu College of Culinary Arts in Minneapolis. He has also said his time cooking in Europe was a truly rewarding experience. 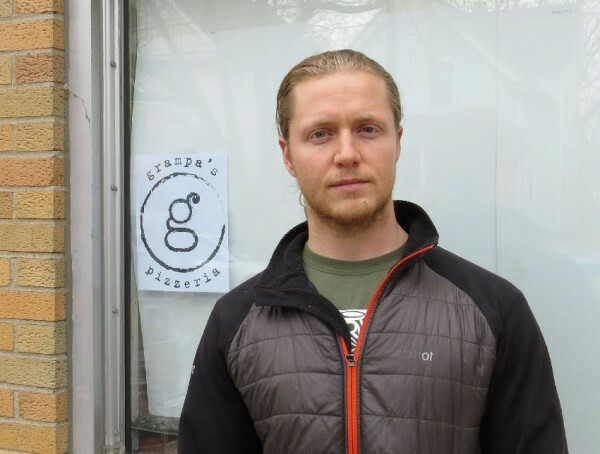 Following a year-long internship at several restaurants in Chicago, Gilbert returned to Madison and helped Capito open the kitchen at Mickey’s in 2007 and also returned to Biaggis and worked there for a couple of years, this time as a Sous Chef. If you like the food at Mickey’s, credit goes to Gilbert, who created the menu. Gilbert also spent some time cooking in San Diego; first as a Chef de Partie and then as Head Chef. 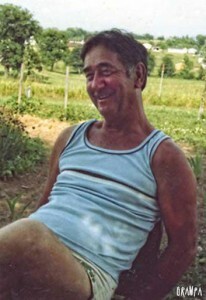 During this time he greatly expanded his knowledge of food, including the use of whole animals and growing vegetables on-site. It’s an experience that will likely inform his operation of Grampa’s. 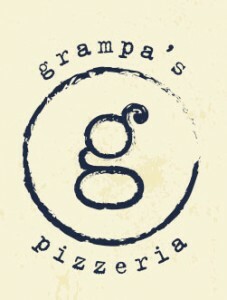 Grampa’s will have a stripped-down menu featuring four specialty pizzas along with three appetizers and three salads. The food will be prepared in a scratch kitchen using a standard deck oven along with a few burners for the other dishes. The pizzas are one size, 12 inches, and will feed, as Gilbert says, “one hungry person, or two if you want to share”. While no single slices will be offered, the pies will be similar to the pizzas now served at Mickey’s (although Mickey’s uses a frozen crust due to space constraints). The original Gun Shop space will be part of the restaurant seating area and can be partitioned-off for private parties. At Grampa’s, Gilbert plans to grow some of his vegetables in the backyard as well as make his own sausage and pork confit. He also may have Underground Meats supply some pepperoni. Gilbert made waves with some homemade brats he served last year at Mickey’s during Craft Beer Week; more on that in an upcoming post. Gilbert’s vendor list is not final, but he hopes to buy local as much as possible, noting that winter does occur in Wisconsin. Altschul says the cooks in San Diego don’t know how good they have it, being able to get fresh ingredients 11 months out of the year. While Gilbert loves the kitchen, since he returned from San Diego, he has served in a General Manager capacity at Mickey’s while trying to launch his next project. He looked at some property on the West Side for a fine dining establishment, but that option started to wane. 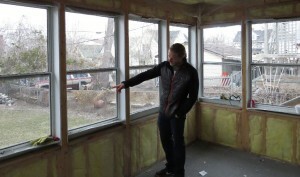 The rear of the restaurant will feature an enclosed sun porch with heaters. Altschul also plans to grow some of the food for his product in the backyard. At the same time, Gilbert’s brother Benjamin, who has a fledgling real estate career, was close to finalizing the purchase of the Gun Shop property from Gleasman, and Gilbert joined the deal. However, Gilbert is the sole owner of the pizzeria. Gilbert has the right attitude for his first foray into owning his own business – focusing on doing a few things really well. He says if this location does well he hopes to open six to eight more around the country; he is already eyeing a place in Texas, if Kim Jong Un doesn’t get there first. Grampa’s Gun Shop was a small space that eventually had a living area built onto the back, followed later by a sun porch. While not a wide building, it does go deep into the property, and Gilbert is already hard at work modifying the interior. The dinning entrance will be on the east side of the building halfway back from the street. The restaurant will seat around 45 people, with a contiguous dining area from the front to a climate-controlled back porch featuring all-season windows. The Gun Shop in Spring 2012. Altschul purchased a few guns from Gleasman to hang on the walls as reminder of how long the space has been known as “Grampa’s”. 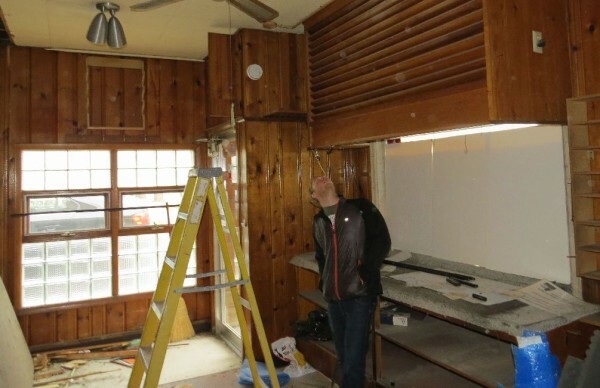 A bar that seats six or seven will run along one wooden wall which was “discovered,” along with wood flooring, during the interior demolition. Gilbert plans to restore the wall and make it part of the décor. He says Dan, who is now a practicing carpenter, will be assisting him with the build-out. For the “beer” side of the equation, a large selection of beer and wine, including four tap beers, microbrews and many more by the bottle, will be on hand. Four featured red and white wines by the glass and another dozen or so by the bottle will also be available. Bottled craft soda, iced tea, Kombucha and the like round out the non-alcoholic offerings. 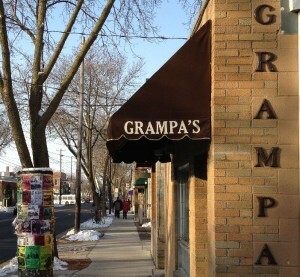 Grampa’s will be open daily for sit-down, carry-out and delivery from 5 p.m. until 2 a.m. Monday through Thursday, 5 p.m. to 3 a.m. Friday and Saturday, and 5 p.m. to 10 p.m. Sundays. Gilbert hopes to open over the July 4th holiday. A community meeting to discuss Grampa’s Pizzeria’s application for a beer and wine license will be held Monday, April 15, 2013 at 6:30 p.m. at Lazy Jane’s Café. This entry was posted in Madison, Madison Arts & Entertainment, Willy Street, Willy Street Arts & Entertainment and tagged a pig in a fur coat, Benjamin Altschul, Botticelli's, Dan Altschul, Dan Bonnano, Gilbert Altschul, Grampa's Gun Shop, Grampa's Pizzeria, Greater Williamson Business Association, Jane Capito, Larry Gleasman, Lazy Jane's Cafe, Marquette neighborhood, Mickey's Tavern, Ovens of Brittany, Pizza, Pizza Delivery, William VandeHey, Williamson street, Willy STreet by TheEastSider. Bookmark the permalink. Can’t wait for the fresh crust fancy version! Your pizza’s are already my favorite. I’m excited for this place! Late night pizza! Jesus, just smile for one second will ya Gil???!! It won’t kill you!